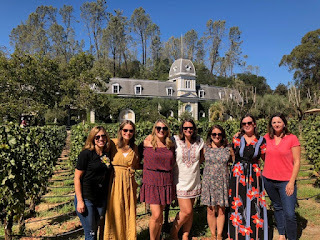 I had the amazing opportunity to spend the last four days in beautiful Napa Valley, California with seven of my college girlfriends. Wine. Laughter. Sunshine. More wine. The weekend was everything I could have asked for. But what I haven’t mentioned yet are the stories. Yes, we’ve known one another for twenty-two years, but that doesn’t mean we’ve kept in touch the way we should. And this weekend gave us the opportunity to share copious stories. Some were funny. Some were sad. Some were poignant and some unbelievable. Some stories will stay in Napa because they can never come home. At one point, however, my friend Ann suggested that I write a book about us. Not about us, exactly. 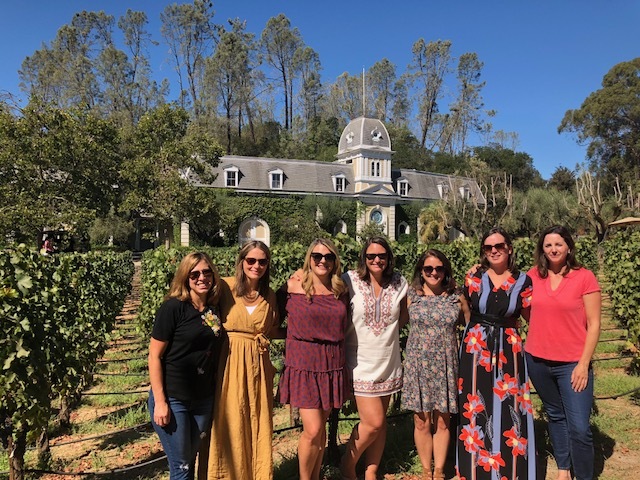 But about the situation – seven friends who come together for a Napa weekend after twenty-something years of friendship and what they learn about themselves and each other. Initially, I said no. I write young adult fiction – paranormal, fantasy, non-reality-based fiction. Still, the more I thought about it, the more the idea began to take shape. Maybe I COULD write a book about this. Maybe it’s the thing that’s been waiting in the back of my head, screaming to get out. The ideas are there – as soon as she mentioned it, they flowed. There’s certainly the emotion behind it. Maybe much of it will still be fiction, but isn’t most fiction based in reality anyway? The idea of writing the unfamiliar is scary. We know what we’re good at, so it’s easy to stay in the same rut. Here’s the thing though - maybe we’d be great a writing something else. Maybe it’s time to branch out. Maybe it’s time to open ourselves to new ideas. I know this weekend was incredibly inspiring. I learned about fashion, incredibly helpful apps, limo buses called True Elegance, and what it means to keep friendships for long periods of time. It also inspired me to write outside my comfort zone. And that is something that will stay with me forever. So I challenge you to do the same. I feel more energized to write than I have in a long time. It’s all about having the right idea, and who cares if it’s what we’re comfortable with or not? Beth ~ It's a fabulous idea and you should totally go for it! I just wrote an essay about the girls I grew up with last week, and I've written essays about our 20+ year reunions before. I think fictionalizing it and adding more drama would be awesome, even a murder if it fits. :) I just challenged myself to write a memoir and I have an idea for a theme forming that I think hasn't been tackled in memoir yet. Cheers to stepping out of our writing comfort zones! I love your trip and your idea. :) I am currently writing women's fiction after publishing in children's and YA. Who says you can't do whatever you want? And the one thing I am trying to learn more and more is not to let fear or I can't stop me! Best of luck. Go for it! You could have so much fun with a reunion story set in Napa Valley! I love that our non-writer friends are so helpful in offering up ideas. One of my oldest friends is always calling me and saying "I have an idea and you should write a story about X." I love that she thinks of me that way :-) Glad you had an amazing trip! An Update on 500 Words a Day: Does it Work?